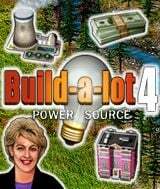 Download Build-a-lot 4: Power Source for free at FreeRide Games! In the Strategy/Sim game Build-a-lot 4: Power Source, the power is in your hands as you help friendly towns to grow and glow by building neighborhoods and generating clean energy to make them run. Watch out for power overload: if you build too fast, you may experience blackouts and unhappy renters. You'll have resources at your command to energize the towns - build solar towers and wind farms and dispatch technicians to make sure everyone is energy efficient. 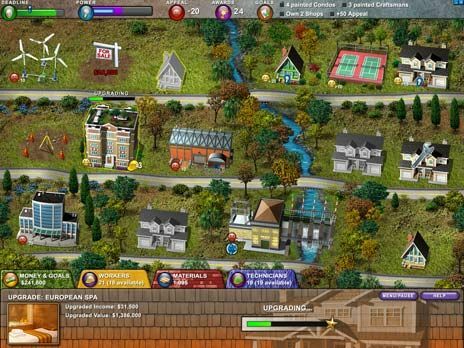 Then, get your neighborhoods fit and fancy by building tennis courts, swimming pools, boutiques, and more. With multiple campaigns to play and a variety of awards to earn, there is plenty to do and lots of fun waiting for you in this electrifying addition to the Build-a-lot series.